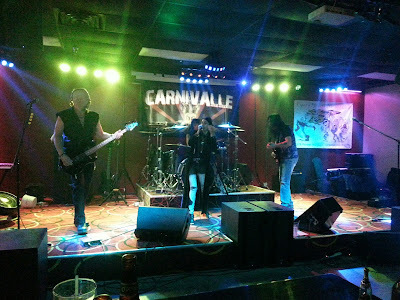 Banners.com recently printed a band backdrop banner for Carnivalle. Here's a photo of them performing with the vinyl banner in the background. Thank you for sharing your photo with us! If you'd like to see live videos or more information about the Carnivalle Band, visit their Facebook page! If you need a vinyl banner backdrop for your band, visit our band backdrop banner page. You can customize a template in our online designer, upload your own artwork, or work with one of our graphic designers.